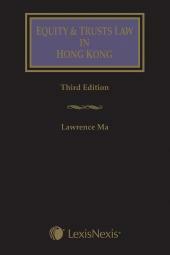 The Butterworths Hong Kong Probate, Administration and Trustee Handbook (Fourth Edition) is a work of reference containing materials on the Probate and Administration Ordinance (Cap 10), Trustee Ordinance (Cap 29), Wills Ordinance (Cap 30), Intestates’ Estates Ordinance (Cap 73) and Inheritance (Provision for Family and Dependants) Ordinance (Cap 481), the major legislation pertaining to probate and trusts law and practice in Hong Kong. This Handbook reproduces the text of the Ordinances and all subsidiary legislation to the Ordinances as are currently in force, together with details of the legislative history and detailed, section by section annotations to the primary legislation. Annotations outline significant judicial decisions, reference relevant rules of court, and provide extensive notes ranging from definitions of words and phrases to discussion of practical aspects and contentious issues. Annotations are fully cross-referenced with comprehensive tables of cases, legislation and other sources referred to. Annotations in this volume have been prepared and updated by expert contributors Emeritus Professor Christopher Sherrin, Bobby Wong, Felix Hoe, Minnie Wat, Chantel Lin, Carol Lee and Ian Chau. 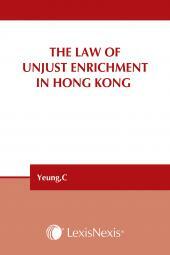 The Butterworths Hong Kong Handbook series is a trusted reference which has been cited in over one hundred cases in the Hong Kong superior courts. 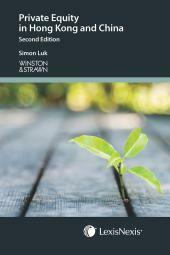 This text will be an invaluable resource for lawyers, adjudicators, executors, administrators, government officers, academics, students and all those who are engaged or interested in probate, administration and trusts law in Hong Kong.